Vire is a small town and sub-prefecture in the department of the Calvados. It is 37 miles (59 kilometres) south-west of Caen, 32 miles (52 kilometres) south of Bayeux, and 53 kilometres east of Granville, which is a town on the Atlantic coast in the department of the Manche. The old and new communal cemeteries are adjacent, and are situated on the north side of the town. 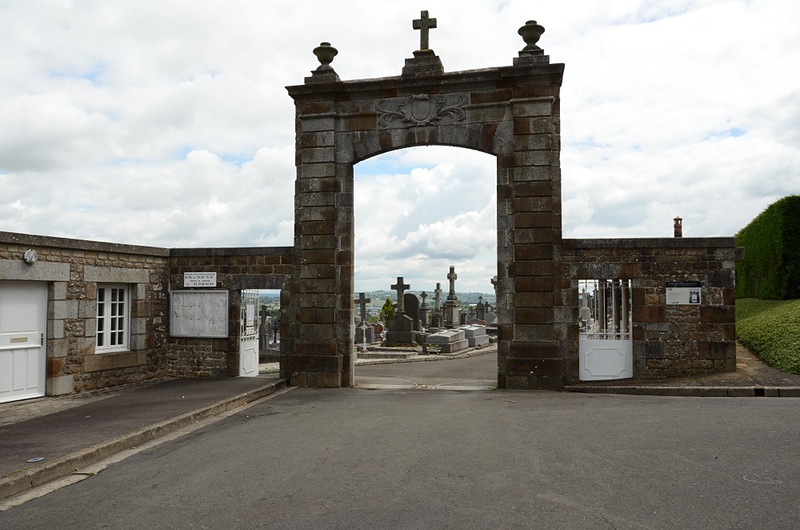 The new cemetery is north of the old, access being through the old cemetery. 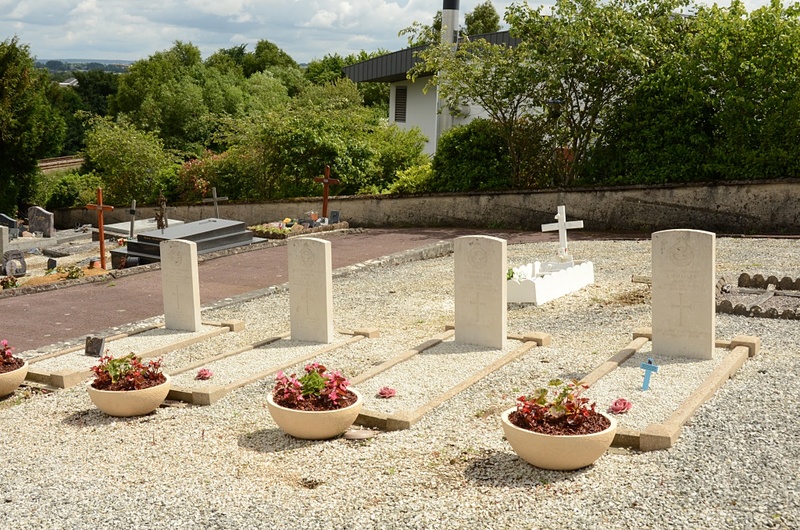 There are 4 Commonwealth burials of the 1939-1945 war here, in the north-east part of the new cemetery. 116741 Flight Sergeant John Owen, Mentioned in Despatches, Pilot in 138 Squadron, Royal Air Force Volunteer Reserve, died 26th July 1942, aged 21. 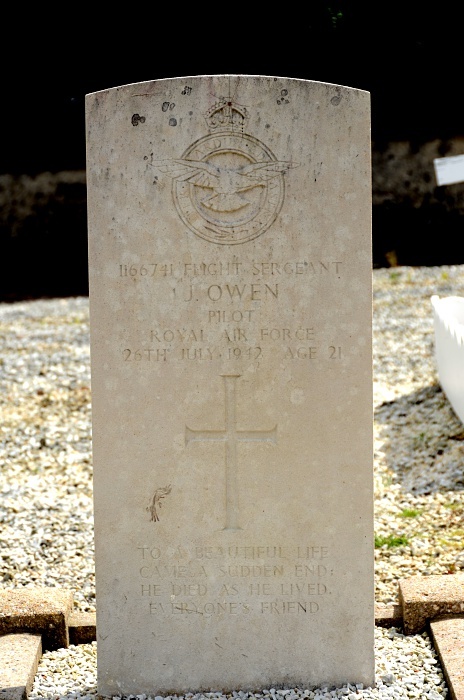 Son of John and Louisa Owen, of Wolverhampton. 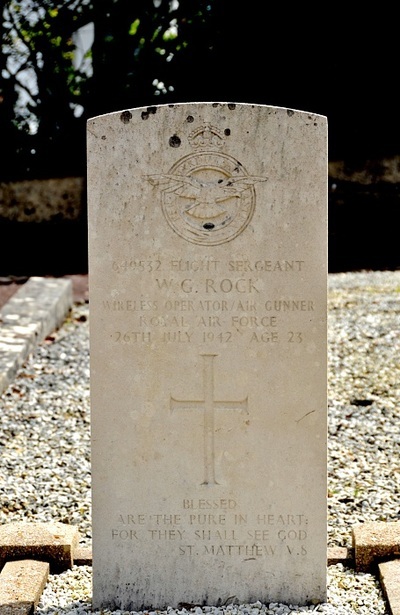 649532 Flight Sergeant William George Rock, Wireless Operator/Air Gunner in 138 Squadron, Royal Air Force, died 26th July 1942, aged 23. Son of George and Elizabeth Mary Rock, of Broughshane, Co. Antrim, Northern Ireland. 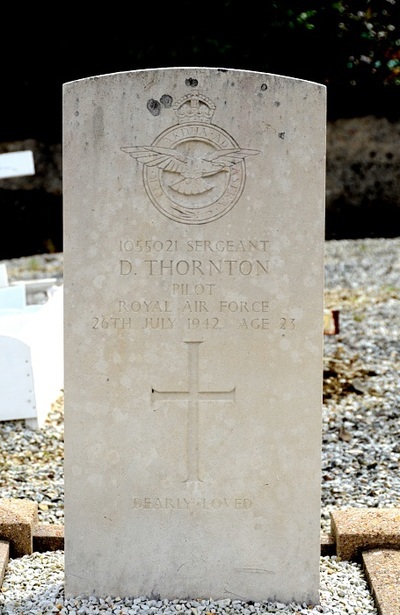 1055021 Sergeant Douglas Thornton, Pilot in 138 Squadron, Royal Air Force Volunteer Reserve, died 26th July 1942, aged 23. Son of Thomas and Margaret Thornton; husband of Elsie Thornton, of Bradford, Yorkshire. 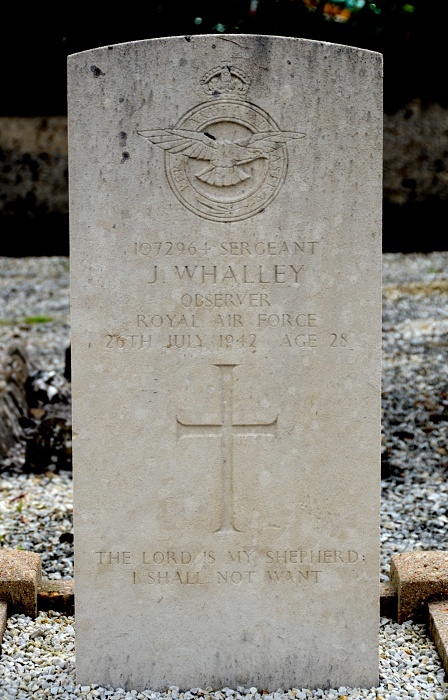 1072964 Sergeant James Whalley, Observer in 138 Squadron, Royal Air Force Volunteer Reserve, died 26th July 1942, aged 28. Son of Thomas and Jane Whalley, of Preston, Lancashire; husband of Edith Whalley, of Preston.